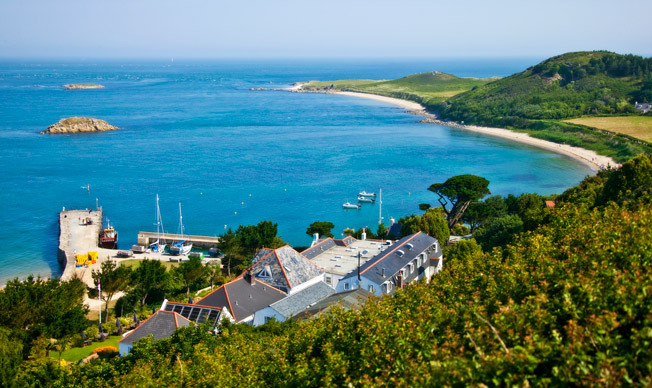 You can’t get any more picture perfect than Herm Island as the backdrop for your wedding day. 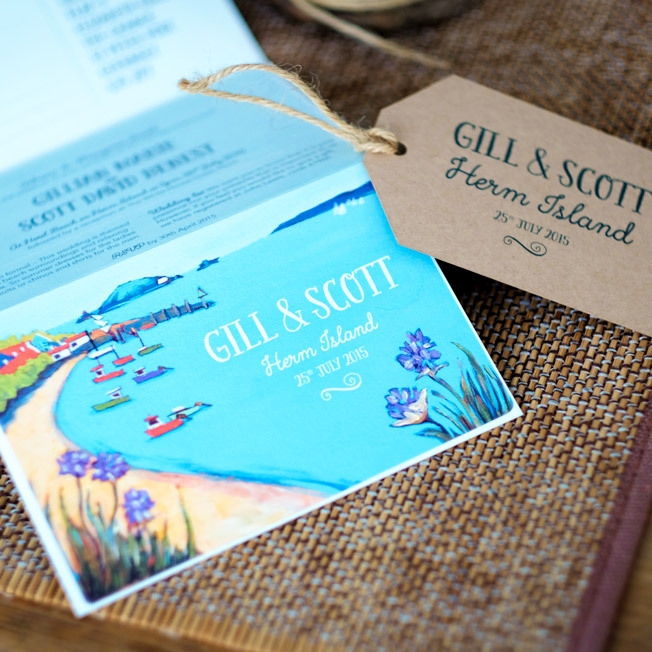 Gill and Scott came to me, via the Chateau Bee, asking for invitations which reflected Herm and the “beachy postcard feel” they wanted for their big day. 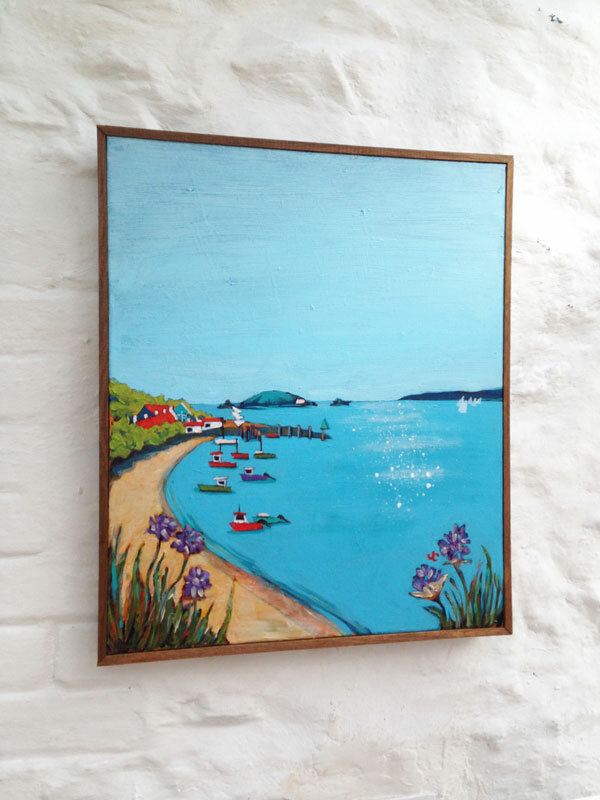 I painted Herm harbour looking back towards Guernsey, turned it into postcard format and then concertinaed the invite, so to fit more wedding details on there. On the back was a treasure map with details about Guernsey, the wedding and things to do for their guests on the islands. 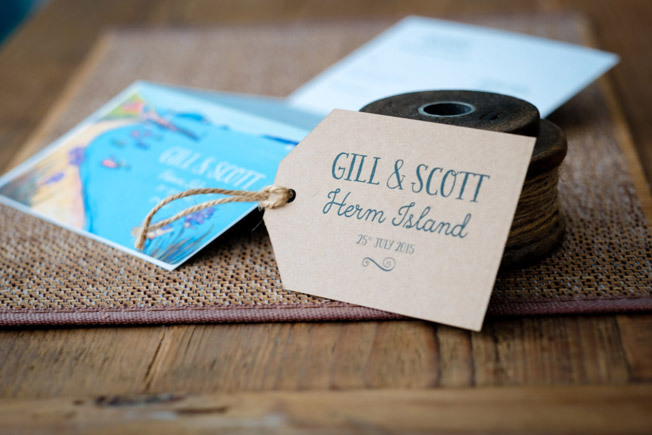 I then added craft style luggage tags with accommodation details for any of the guests wanting to stay the night in Herm. 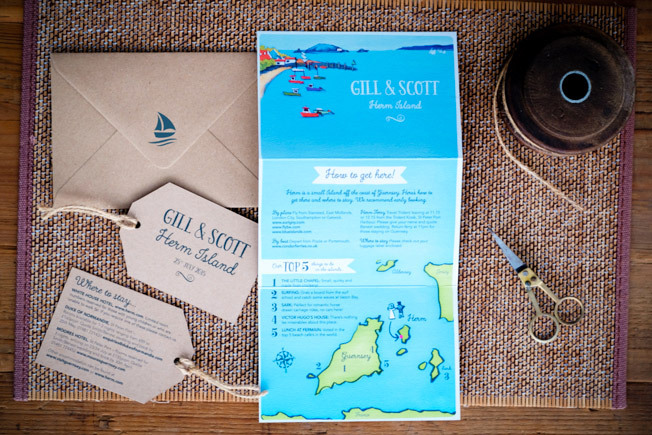 The invites really gave a wow factor as a starting point for the couple’s Herm wedding. If you’re interested in me helping craft your wedding invitations and stationery please get in touch.